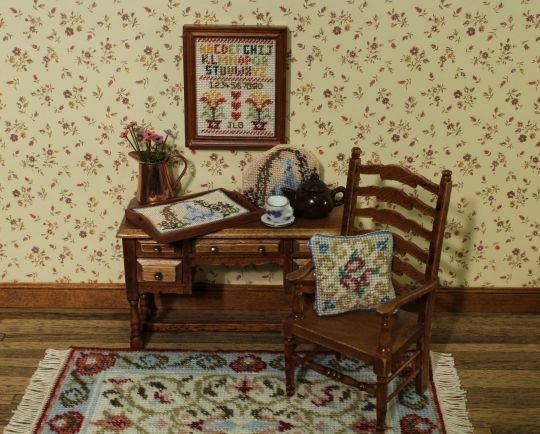 Would you like the chance to win £200 to spend on miniature needlepoint kits and charts? That’s the prize in a competition that I have just launched! As I’ve been in business 20 years this year, I have decided to celebrate that by offering one prize of £200 in vouchers and two runner-up prizes of £20 in vouchers in this competition. 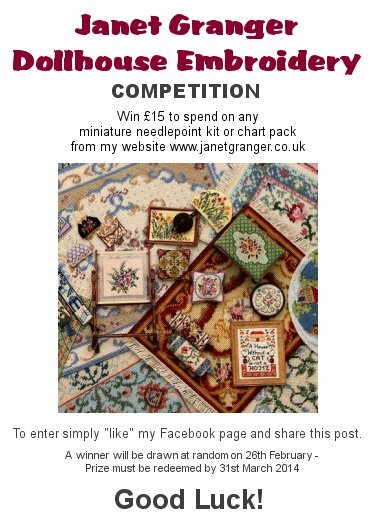 Take a photo of miniature needlepoint that you have made from any Janet Granger Designs kits or chart packs, displayed in a room setting or doll’s house room of any kind, and email it to mail@janetgranger.co.uk . The needlepoint must be in a room of some kind, not a ‘flat shot’ of just the finished stitching. If it is from a chart pack, it can be your own colourway and choice of threads. Make sure the lighting in your image is good, and the focus is sharp. The image file should be in jpg format, and as large as possible (at least 600 pixels on the longest side). If possible, do not show a date stamp in the image, or if you can’t turn date stamping off, then make sure no stitching is covered by the date stamp mark. 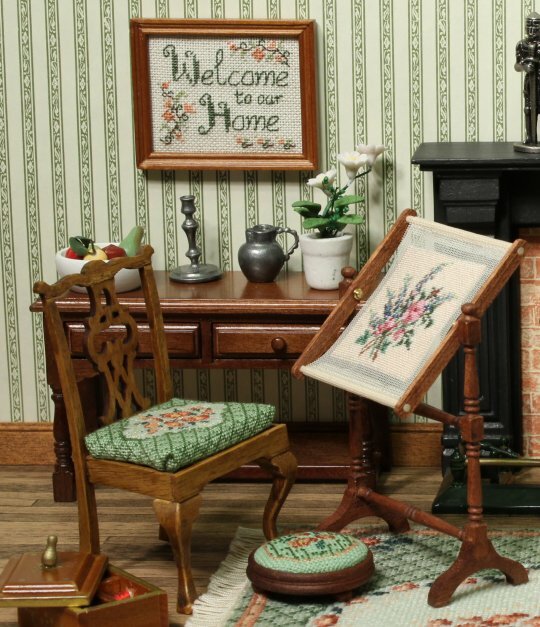 Each image must feature only needlepoint which has been designed by me (not needlepoint from other designers’ kits or charts, or designs from books, or that you have designed yourself from scratch). Each image must clearly show at least four *different* stitched pieces from the Janet Granger Designs’ range (that is, not four of the same design – for instance four dining chair seats all featuring the same design only counts as one). 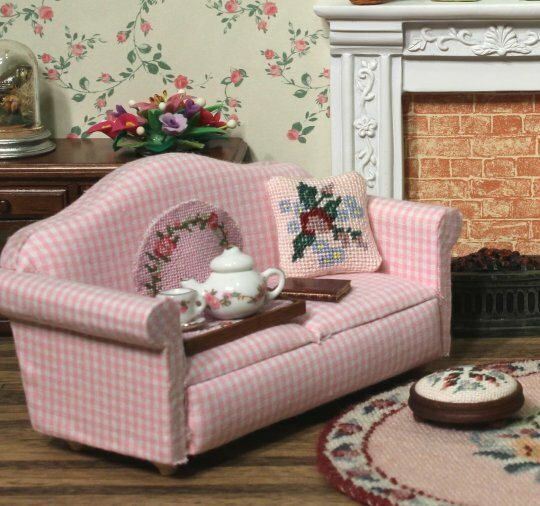 To qualify, the room can have more than four needlepoint items in, but cannot have less than four. The designs that count as part of the four must be available in the current Janet Granger Designs’ range as shown on the website http://www.janetgranger.co.uk (discontinued designs can be in the image, but do not count as part of the four). 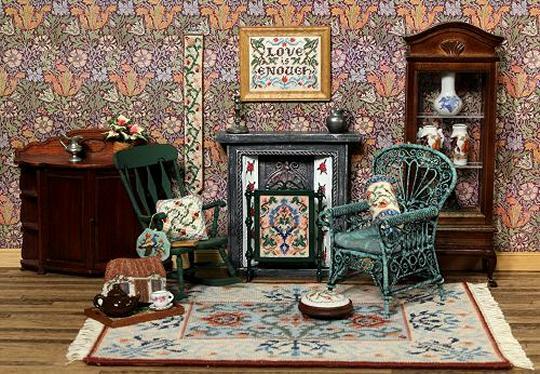 You can enter as many images as you like – either of the same room from different angles, or several different rooms, as long as each room has four different needlepoint pieces in it. People who have previously had images added to the Customers’ Stitching page of my website are very welcome to enter this competition – but please send any image you would like to be considered for the competition in accordance with these rules, to avoid confusion. If you would like your competition entry’s images added to the Customers’ Stitching page of my website for the first time, please mention that in your email when you submit your images – whether you ask for this or not does not influence the decision regarding who wins at all. You must supply your full name, address and email address with your entries, which are to be emailed to mail@janetgranger.co.uk by 14th November 2016 at the latest. The winning image and two runner-up images will be decided solely at my discretion, and the result announced on Friday 18th November 2016 on my website, in my email newsletter and on social media. Winners will be notified personally by email. There is no time limit on when the vouchers have to be used by. 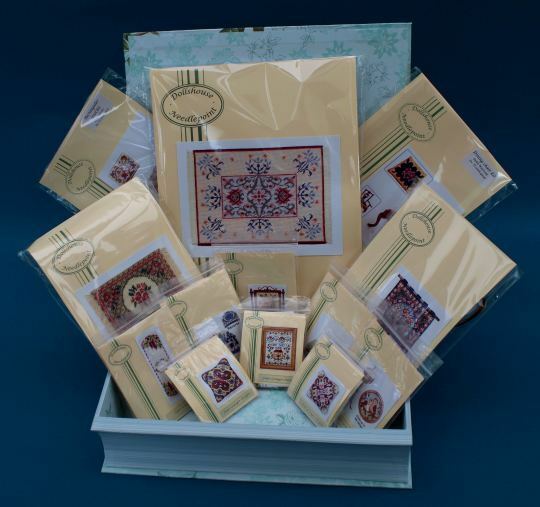 Author Janet GrangerPosted on May 5, 2016 May 3, 2016 Categories CompetitionsTags Competition, Doll's house embroidery, Dollhouse, Embroidery, Miniature needlepoint1 Comment on Competition time!